She’s a dweller in the dark, with a smoking destination. 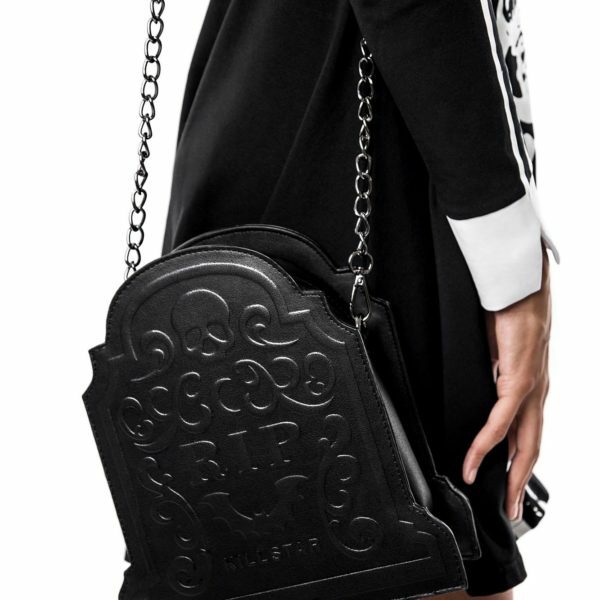 Her grave fascination is more than a death adjuration. 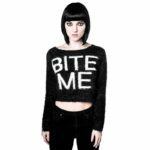 Her name is Sarah Sins. 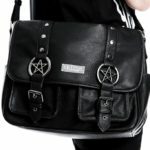 – A+ Grade Vegan Leather. 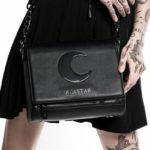 – 26cm x 20cm x 7cm – Strap 130cm. 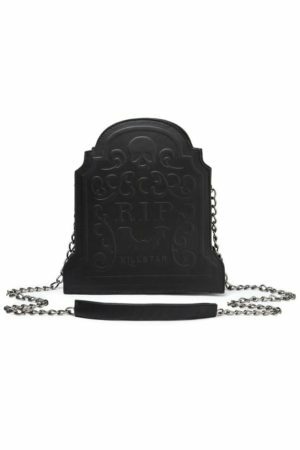 Fashion forward gothic tomb-bag with large embossed ‘RIP’ detailed front – with darkened lightweight chain; keeping it classy for all the vamp & ghouls alike. 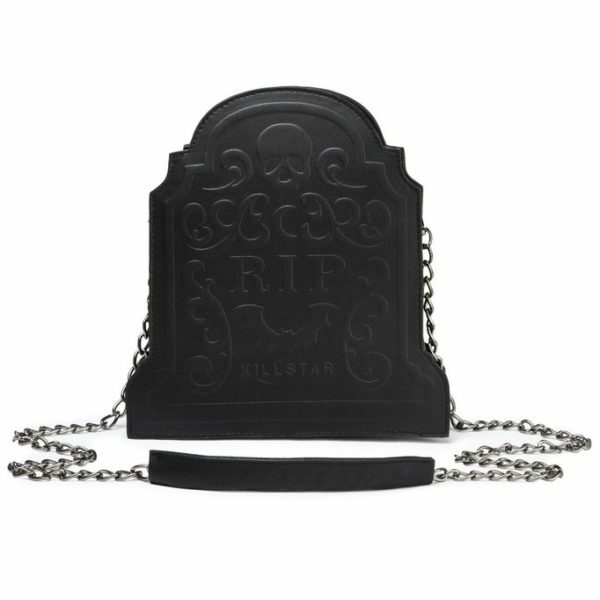 The unique gravestone shape makes it a perfect statement handbag to compliment your killer lookz.